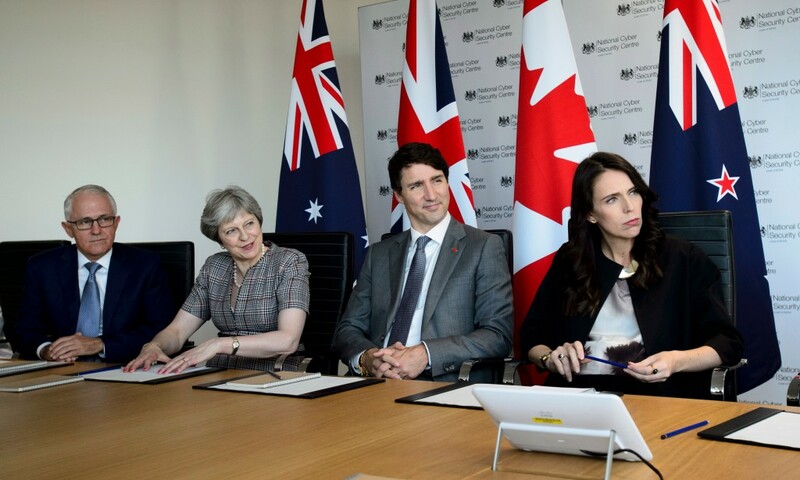 Writing for the Huffington Post in the UK, Alan Grant explains why free movement and trade between Canada, Australia, New Zealand and the United Kingdom is the most logical political, economic and philosophical approach in the post-Brexit era. Cooperation of the four CANZUK countries would lead to a bright future for post-Brexit Britain. Britain’s future will depend on our ability to bring together Canada, Australia, New Zealand, and ourselves into a working partnership based on free movement and trade. So what do we do after Brexit? It’s such an obvious question. Shouldn’t it be the main question that we as a country ought to be asking ourselves, and, if not, shouldn’t it at least be higher up the list? While conversations about cabinet strife and devolution are important it seems odd that so little attention is being paid to the nuts and bolts of what Britain does post-Brexit. It is especially disheartening because there is such an obvious solution that, if we get it right, it will benefit Britain, our potential partners, and the world. There is a group of countries that we could join with and with whom a close bond already exists. Britain’s future will depend on our ability to bring together Canada, Australia, New Zealand, and ourselves into a working partnership based on free movement and trade. For a post-Brexit Britain, the best future is a CANZUK one. The potential for CANZUK is extraordinary. The four countries contain over 132 million people, according to the UN, and account for more than 10 per cent of global GDP – a staggering amount of economic activity, especially considering that the group only has 1.7% of the global population. These four nations are culturally influential, highly economically developed, and our societies are underpinned by liberal democratic principles. Canada, Australia, New Zealand, and the United Kingdom all protect minorities, including LGBT people, and are bound together by the Enlightenment tradition. This is not to mention the history that, regardless of its historical morality, forms the kind of bond between countries that cannot be destroyed but which are ideal foundations on which to build. The four CANZUK countries also have much in common in cultural terms. We have similar business practices, watch a lot of the same TV, visit the same websites, and listen to much of the same music as one another. Many of us have families who live in the other CANZUK countries and we are all led by the same head of state – Her Majesty Queen Elizabeth II. We already have a ‘personal union’ – if our nations are not primed for further cooperation, which ones are? In fact, according to the campaign group, CANZUK International, there is extensive public support for a CANZUK free trade area in all four countries. In New Zealand it is as high as 82 percent while 76 percent of Canadians are in favour, as are 73 percent of Australians – there’s even 68 percent public support for it in the United Kingdom. Support for CANZUK has also been expressed by several key politicians from across the nations. Canada’s Prime Minister, Justin Trudeau, has been making some very positive sounds on trade, particularly with Britain, even going so far as to promise that a trade discussion between the two countries would begin the “day after Brexit”; while former Australian PM, Tony Abbot, has called for freer movement between his country and Britain. On an academic level, the influential Adam Smith Institute think-tank has also thrown its considerable intellectual weight behind building the alliance. For anyone who has found recent politics to be depressing, the possibility of a CANZUK agreement provides the perfect antidote to their understandable doldrums. There is massive potential for economic cooperation, promoting human rights, building global security, enforcing standards, working with other international organisations (including the European Union), and encouraging the sharing and developing of ideas, technology, principles, and best practice. The CANZUK nations already cooperate extensively together and have achieved much; imagine how much we could achieve with more focus and deeper cooperation. This is surely a cause to be optimistic – and we can all share in it expressed in our common language. United as they are by history, common law, security concerns and practices, language, mentality, culture, and a dedication to the fairness and work ethic that are characteristic of Western liberal democracies, Canada, Australia, New Zealand, and the United Kingdom already do so much together. A free movement and trade area would help to that capacity and would, if done correctly, avoid unneeded and unwanted bureaucracy. The CANZUK proposition is backed by the most convincing political, economic, philosophical, and even moral arguments available and there is evidence to suggest that the people of each country support it. If enough political will can be found to get behind CANZUK, not only will Britain be lifted out of the uncertain gloom that Brexit management has caused, but we will be joined by three of our oldest, dearest, and most reliable allies in a modern partnership that stands ready to embrace the challenges and opportunities that such a future will bring.